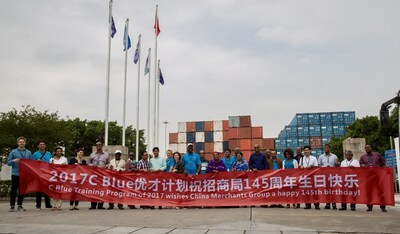 SHENZHEN, China, Nov. 13, 2017 /PRNewswire/ — The closing ceremony for the 2017 C Blue, a training-based social program co-organized by China Merchants Port Holdings Company Ltd. (“CMPort”) and Shenzhen Polytechnic, was held in Shenzhen at the CMPort Plaza on November 10, concluding a fruitful month of cross-cultural camaraderie during which business professionals across the globe were brought together by a common cause. A publicly-traded company since 1992, CMPort remains China’s largest public port operator, having handled an annual container volume of 95.77 million TEUs in 2016. In pursuit of its publicly announced mission to become a “world’s leading comprehensive port service provider”, the state-owned company has been committed to strengthening its international status. C Blue, whose title was inspired by the Chinese phrase for “shaping our blue dream”, aims to “offer foreign countries the environment, resources and platform they need to nurture top leadership talents,” as suggested by the program’s promotional material. At its closing ceremony last Friday, several participants reported during interviews that the program indeed lived up to its promises. “To see such a large country achieve such rapid growth is really exciting,” said Kristina Gontier, who works for the Lithuanian Ministry of Transport, as she completed her training. Throughout C Blue‘s four-week run, trainees were able to enjoy a comprehensive learning experience that combined theory with practice. Business lectures given by experts from various fields such as Port Operations, Logistics, and Free Trade Zone Development complemented diverse, active field visits to enhance participants’attributes as both industry specialists and general decision-makers. When asked how her trip to China would aid her development as a business professional, Zawadia J. Nanyaro, the chief executive of the Tanzanian consulting firm Lilac Lines Ltd., applauded C Blue for strengthening her faith in her home country’s “action plan to become industrialized”. China Merchants Group, CMPort’s parent company, sees corporate social responsibility as a crucial part of its mission and business strategy. 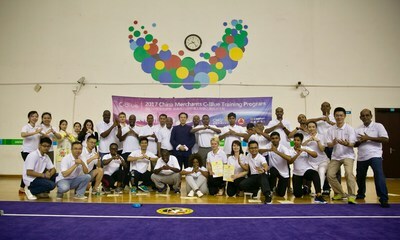 In 2009, the Group established China Merchants Charitable Foundation, the subsidiary that sponsored C Blue, in order to fund and develop overseas social projects. As it celebrates its 145th anniversary, the century-old conglomerate will indeed look to build on C Blue‘s resounding success. A brand new edition of the program is scheduled to return next fall.